One of the oddest starters I have ever ordered…. Tashas is a very popular café chain in South Africa, and I wouldn’t generally review it as we eat there often and it is always good. Sometimes the service is a bit lax, but the atmosphere is fantastic and the menu extensive. We decided to try the new French-inspired ‘Tashas Le Parc’ at the Hyde Park Shopping Centre before going to see a movie. This is an abridged review, mainly to describe the wonderfully odd starter we ordered. We wanted something fresh, crisp and not too large before our main courses of Chicken Milanese and the Le Parc Burger. The crudité platter for two with dips and hard boiled eggs sounded like a good option. I have previously mentioned misconceptions about menus in the Cube review, which you can see here. This, however, was absolutely surprising. 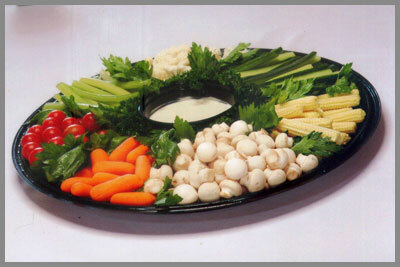 When you hear “crudité platter”, you probably think of something rather like the picture below, which is what we were expecting. What we received was, in fact, the most ENORMOUS basket of whole vegetables. There were two whole tomatoes, 3 whole peppers, about 4 whole carrots, large sections of cabbage and cauliflower, large cucumber quarters, a smattering of whole radishes and a whole lemon. 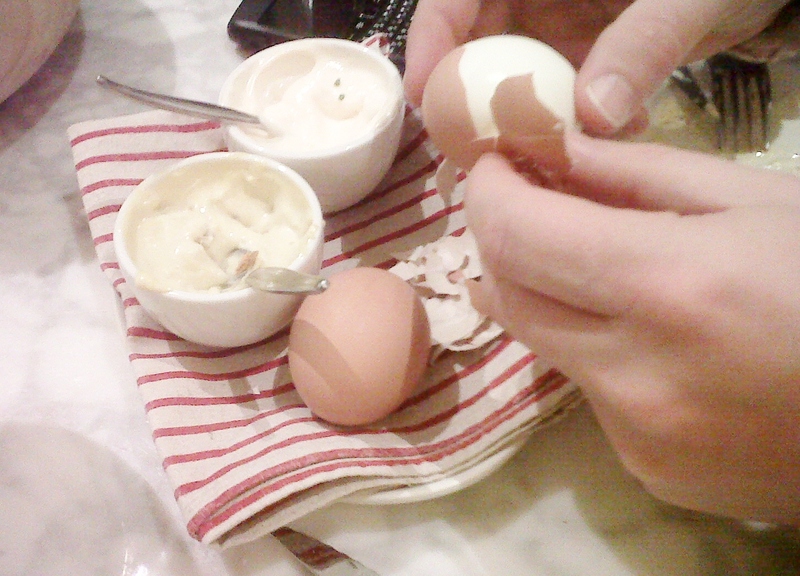 We also got two unpeeled hard-boiled eggs, two saucers of dip – which was so tasty – and 6 slices of bread. We were given special knives and side plates and told that the idea was that we cut up this vast amount of vegetables, and peel the eggs, ourselves at the table. Everything was fresh and tasty, but it all seemed like a huge amount of hard labour when one is relaxing over a meal. There is a lot to be said for ‘modern’ twists on classic dishes, and for inventive menus – but I feel this was pushing the boat out a bit too far. When it comes to huge amounts, be aware that the portions at Tashas are vast – wine by the glass included. Our main courses were lovely, cooked perfectly and we thoroughly enjoyed them. Our waitress was really delightful, friendly and obliging. She also saw the humorous side of our starter predicament and didn’t bat an eyelid when we requested the largest vegetarian doggy bag I have ever seen. 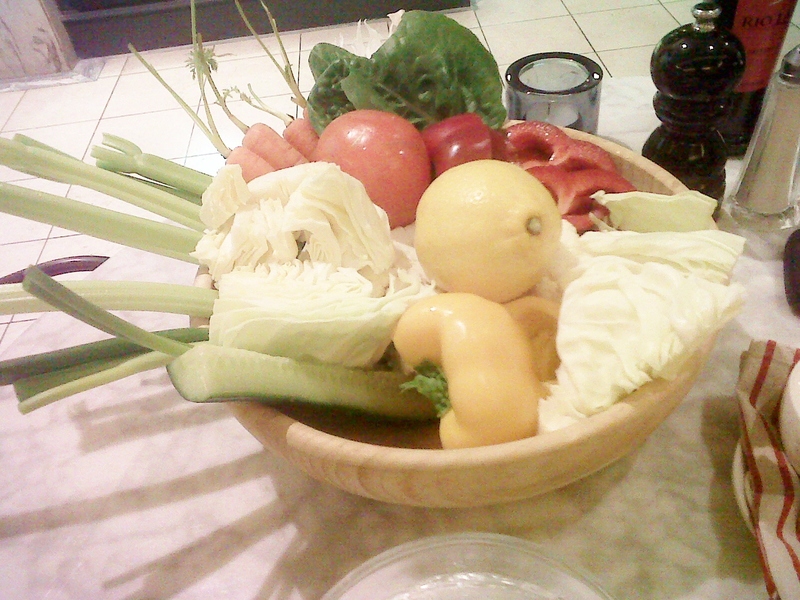 It was suggested that we turn all these veggies into a fresh soup – which we thought was a really good idea. I will surely go back to Tashas Le Parc, but I think next time I will just order a main course and stick to that!